Compressor user is required to observe the condition with daily and weekly maintenance. Even the work by customer is very small, it is important to keep good condition. We lecture how to do it in minimum time. 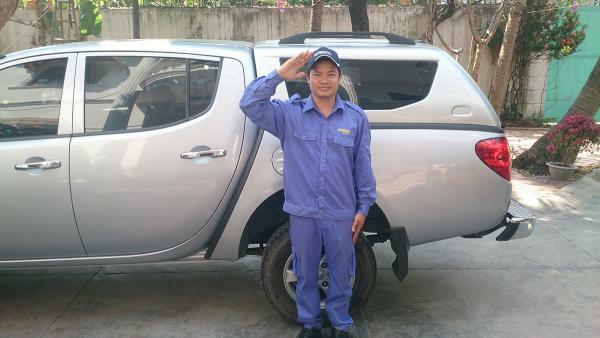 Considering the important function of air compressor, we provides free patrol service once in 3 months. This is just check without any maintenance work, but we report to a customer on time if some trouble occurs on compressors. Then, we offer the solution on trouble and find out the best way with a customer. Frequent check is the best way to keep condition of factory. It’s the reason we provide this service in free of charge. As a manufacturer of air compressor, of course, we can provide all types of maintenance including air compressor, dryer, filter and other products. Starting from 3000hrs maintenance, we are capable of doing all necessary work for both oil flooded compressor and oil free compressor. This is the most basic duty of compressor manufacturer and we are confidence of providing the highest quality of work. Air compressor and other related products are “machine” incorporating many kinds of parts, therefore, they may be in trouble during long time use. We, KOBELCO, set up the system of 24 hours hot line so that customer can have our service in any time. We are always ready to come to customer. We have direct connection with factory to get necessary parts smoothly and provide repair work by skilled technician. We commit to quick recovery of air compressor. For failure analyze, its work can be done by only technician with enough experience. 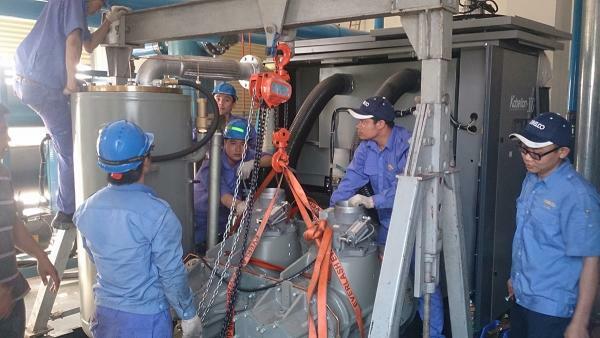 Even there are many companies doing compressor maintenance in Vietnam, it is very difficult for them to analyze the cause of problem. 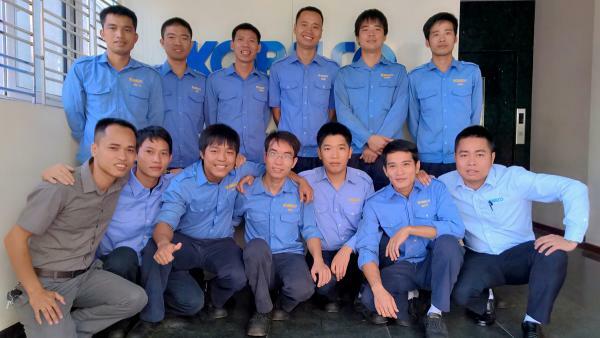 As a manufacturer, we find out the cause of problem and offer improvement plan. Once actual cost occurred at supplier side, customer is required to pay for it. But, it is also required to explain “Why did this failure occur?”, “Why should I pay such cost for repair?” and “What is the expected result after repair work?”. We submit the necessary evidence and report to a customer.